The concept of the ‘persona’ is something which has been utilised in management, advertising and the technology industry since the term was first coined by Alan Cooper nearly twenty years ago (see Cooper, 1998). Used to aid in product design and the development of experiences for customers, clients, guests and other product users, a ‘persona’ is a fictional character created with the specific needs and desires of a potential end-user in mind. But what, we hear you ask, does this have to do with the EMOTIVE project and collaborative storytelling? Well, to tell a story you must have an audience. And to tell a good story you must know your audience. The same goes for experiences at cultural heritage sites, where it is imperative to know the types of people visiting a site in order to cater for them. In recent years, we’ve seen museums and other cultural institutions turning to personas to develop their offerings based specifically on the demographics and complex habits of their visitors (see CHESS’ interactive digital storytelling project for an example of this, and specifically ‘A Life Of Their Own‘, its paper on the subject). Personas are arguably the perfect solution for developing a tailored cultural visitor experience. The problem is that most existing work with personas has entailed the use of singular personas. In other words, the user is presumed to be an individual who can be fully captured in a solitary fictional identity. But research shows that people visiting museums and heritage sites usually do so in groups, whether as part of an educational or other tour, with family or friends (Falk, 2016; Falk and Dierking, 2012). A singular persona in these contexts ignores the social complexities of visiting, and limits our understanding of how we might encourage interactions and productive relations between and within typical visitor groups. (For more on the complexities of the visitor experience see López Sintas et al., 2014). One of our cultural partner sites, the UNESCO World Heritage Site of Çatalhöyük, provides the perfect opportunity for developing interesting visitor relations through the use of group personas. Study of over 15 years’ worth of demographic and observational data from visitors to Çatalhöyük proves that the overwhelming majority tour the site as one of five groups: local parents with children, international families, local families, mixed groups of local and international families, and larger bodies of people such as tourist and school groups. 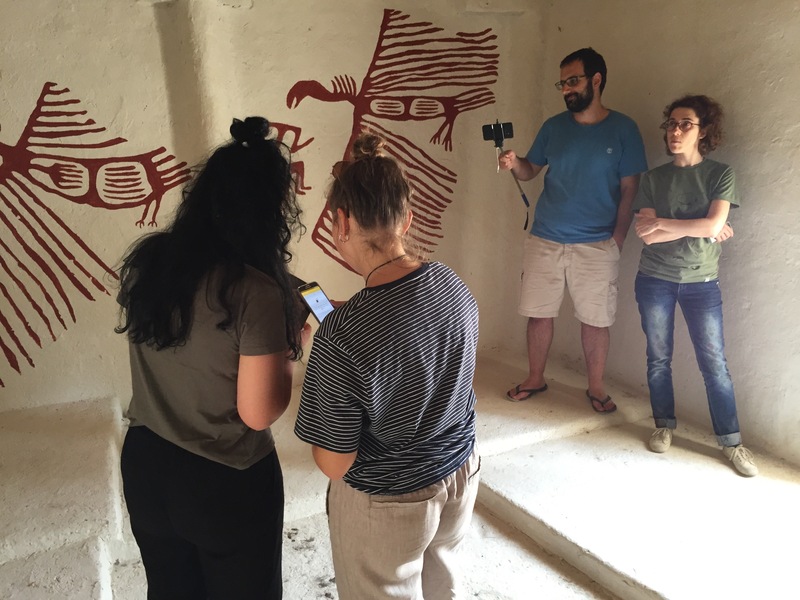 Members of the EMOTIVE project, Sophia Mirashrafi, Laia Pujol, Vassillis Kourtis, Katrina Gargett and Sara Perry, are currently testing and evaluating a collaborative digital storytelling experience for groups on site in Turkey right now. By creating a series of group personas for Çatalhöyük, and testing the efficacy of them in our workshop at Glasgow in February, the team has tailored the experience based on the actual types of visitors we see at Çatalhöyük. Using this novel method of experience design is an important step towards the success of EMOTIVE, and one we see as relevant to all curators, heritage managers and cultural experience designers who aim to cater realistically to the goals and needs of their visitors. Cooper, A. (1998). The Inmates are Running the Asylum: Why High Tech Products Drive us Crazy and How to Restore the Sanity. Indianapolis: Macmillian. Falk, J. and Dierking, L. (2012). The Museum Experience Revisited. Walnut Creek: Left Coast Press.